today's Organizations Expect Their Enterprise Campus Lans To Deliver More Services To More Users At A Lower Cost. These Services Include Next-generation Business Applications As Well As Anytime, Anywhere Access For Mobile Devices. At The Same Time, Campus Lans Must Be Able To Scale Easily To Meet Future Demands And Efficiently Evolve Within Dynamic Business Environments.brocade Icx 6430 And 6450 Switches Provide Feature-rich Enterprise-class Stackable Lan Switching Solutions To Meet The Scalability And Reliability Demands Of Evolving Campus Networks-at An Affordable Price. 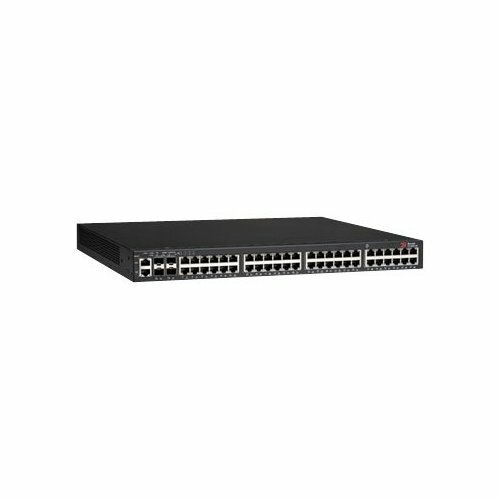 The Brocade Icx 6430 And 6450 Are Available In 24- And 48-port 10/100/1000 Mbps Models And 1 Gigabit Ethernet (gbe) Or 10 Gbe Dual-purpose Uplink/stacking Ports-with Or Without Ieee 802.3af And 802.3at Power Over Ethernet/power Over Ethernet Plus (poe/poe+-to Support Enterprise Edge Networking, Wireless Mobility, And Ip Communications. If you have any questions about this product by Brocade Communications Systems, Inc, contact us by completing and submitting the form below. If you are looking for a specif part number, please include it with your message.